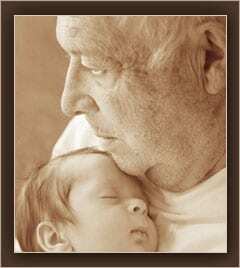 Grandparents are the overlooked jewels of our families. Too often, our busy lives keep us focused on the present and we forget the priceless family history, life stories and sage advice they hold. As a Video Biographer, my job is to capture their stories so knowing what questions to ask is key. Below are a few of my favorite Legacy Video Questions. To learn more about your grandparent’s life story and your family history, ask you grandparents (or parents) the Legacy Video Questions listed below. What do you remember about your own grandparents? In the past, it was common for multiple generations of a family to live together. Chances are, your grandparents lived with their grandparents at some point. 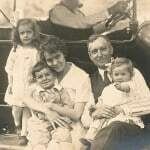 Learn about your great, great-grandparents by asking your grandparents about them. What they did for a living, to describe their personalities and to recount some of their favorite memories. Ask if they remember their grandparents talking about the family history. 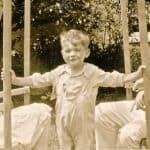 While Ancestry.com is a great tool, a grandparent’s memories are even better! This time, ask your grandparents to describe their parents, their favorite memories of them, the best advice they ever gave and so on. Don’t be afraid to ask questions as a little probing can often reveal a treasure trove of priceless information. What did children do before television, computers, cell phones and scheduled activities? Discover how your grandparents spent their free time and you may find yourself longing for a time before modern technology. Be sure to give them time to think as recalling one memory often triggers many wonderful stories. Everyone faces hardship at one or more times in their lives. 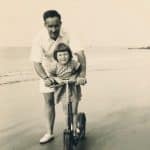 Learning what challenges a grandparent faced and overcame will give you a better understanding of who they are as well as lessons to reflect on when facing your own hardships. Get ready to smile! 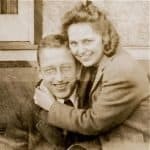 Ask your grandparents to share the story of how they met. Could they have ever imagined when they first laid eyes on each other that you would be one of the many wonderful things that came out of that first encounter! For more Legacy Video Questions, visit my post: ’25 Legacy Video Questions’. For tips on Legacy Videos, visit my post: ‘Legacy Video Tips’. Give your grandparent or parent the gift of a lifetime by capturing their life story for your family to know. Here at Family Line Video we produce Legacy Videos, modern-day memoirs that weave a filmed interview together with family photos, documents, maps and other memorabilia. The result is a beautiful ‘moving’ portrait capturing your loved one as they recount their life story and memories – a gift your family will treasure for generations to come.